Rich Severin is part time faculty in the Baylor University Doctor of Physical Therapy Program. 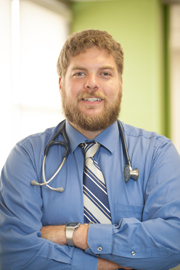 Dr. Severin is a board-certified cardiovascular and pulmonary clinical specialist. He graduated from the University of Miami with his doctor of physical therapy degree in 2013. Dr. Severin completed his residency training in at the William S. Middleton VA Medical Center/University of Wisconsin-Madison, followed by an orthopedic residency at the University of Illinois at Chicago (UIC). He is working on a PhD in rehabilitation science at UIC, with a focus on cardiorespiratory physiology and obesity.